Try either of these house painting techniques the next time you paint the outside of your home. Exterior lifetime-warrantee paints must be backrolled or backbrushed, (both coats) to improve life of paint or make a warrantee claim for fading or other paint problems. On South and west-facing walls, a third coat is advisable. 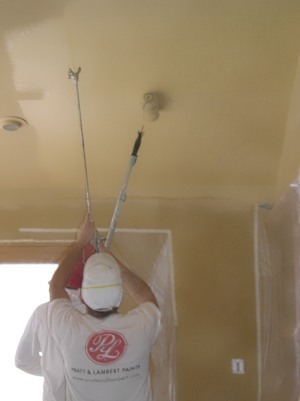 Lighter colored paint jobs may last 20 years or more if moisture is kept from penetrating into walls.